The vestment is made of Silk Finished Damask Fabric with Cross Designs. The St. Andrews orphreys (also called the M orphreys) are made of high quality polyester braids. The Vestment comes with a matching stole with a small golden cross on the back of the neck. 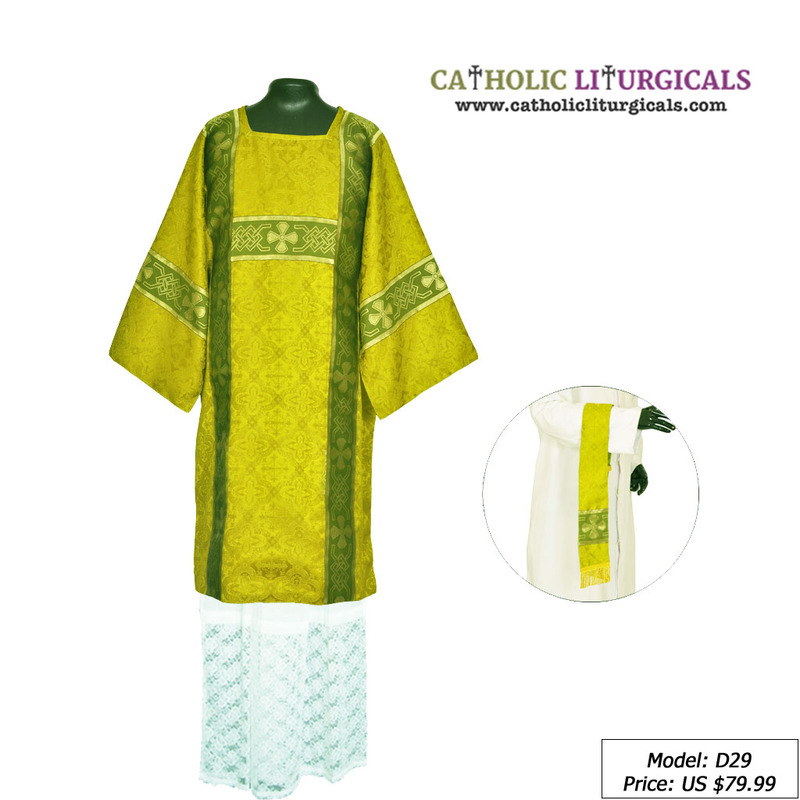 Note: The Regular size chasubles are available in stock and for all other sizes, kindly send us an email with order number and size details after placing the order online. (NO need to send any email for Regular size). It will take additional 2-4 business days to get them ready before shipping.